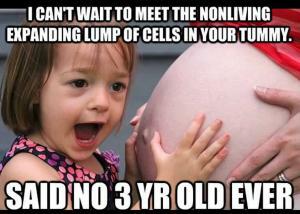 I can't wait to meet the nonliving expanding lump of cells in your tummy. What do you get when you cross a basketball player and a groundhog? Six more weeks of basketball season. 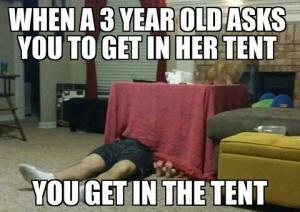 Was playing hide and seek with my 3 year old nephew. 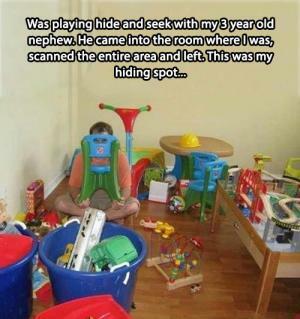 He came into the room where I was, scanned the entire area and left. This was my hiding spot. How many Dads does it take to change a lightbulb? Just one, but he has to go to the store five times to get the right kind! Bill: "My homework is really difficult tonight, I have to write an essay on an elephant." Bert: "Well, for a start your going to need a big ladder.."
Why do dolphins have two eyes? So they can see underwater!